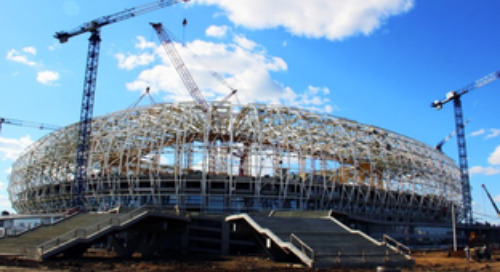 With the new technologies reshaping the construction industry in mind, Pittsburgh Flexicore set out to implement BIM principles throughout its sales, estimating, production and erection business practices with the help of Tekla Structures software. For over 50 years, Pittsburgh Flexicore Co. has been a leading manufacturer of precast, pre-stressed concrete components, and structures in the north-east of USA. In that time, the company has manufactured over 25 million square feet of hollow core products for approximately 4,000 projects, and become a premier supplier of products from beams and columns to stairs and wall panels. Like most precast manufacturing companies, Pittsburgh Flexicore production process relies on 2D drafting, along with various estimating tools and automated production processes to manufacture products with relative speed and ease. 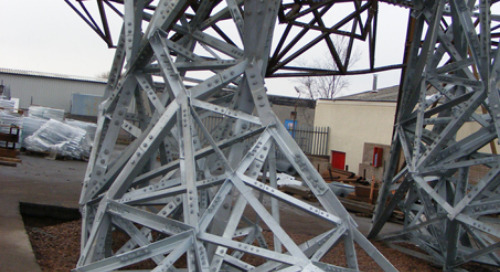 Efficiency is key to success with just two engineers and one estimator/project manager to handle drawing checks, production and erection tasks. These tasks included working with an estimator to determine layout, design and connection details, developing submittal packages, and creating production tickets and erection reports. In order to achieve this goal, the company began modeling selected projects that would develop the custom component catalog, reports, and general layout and production drawings. The first job was to fabricate simple concrete beam supports for a client. The Tekla Structures profile editor tool allows users to sketch variable cross sections. These cross sections can be as simple as I-beam profiles or as complex as hollow-core profiles. The tool allows you to sketch the profile, dimension it accurately and then use it throughout the current model and any subsequent models. Once created, the profiles can be adjusted from a dialog by simply changing dimensions or returning to the sketch editor. This tool gives the user the flexibility to create a customized library of profiles. 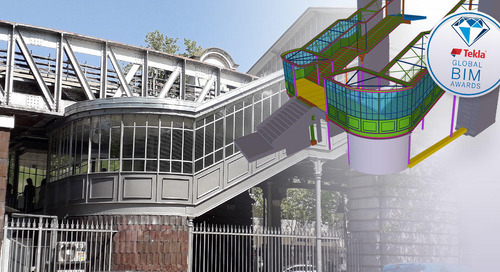 The company’s next BIM-enabled job focused on a church expansion. For this effort, staff engineers modeled the necessary concrete components and connections. The structural framing of the addition consisted of 10-inch hollow-core floor slabs setting on a combination of steel columns and beams, and concrete masonry unit and cast-in-place walls. 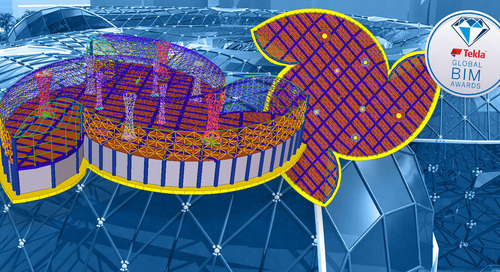 Pittsburgh Flexicore modeled the entire structure in Tekla Structures based on architectural and structural 2D drawings. Along with building the custom component catalog, the company was able to refine its general arrangement drawings, sections and detail sheets and shop drawings and develop customized reports. It wasn’t long before Pittsburgh Flexicore customers and project partners began to realize a noticeable return on investment. Adamson Stadium, the home of the California University of Pennsylvania football and track & field team, in California, Pennsylvania, is undergoing some major renovations including the rehabilitation of the over 50-year-old precast concrete stadium structure. Pittsburgh Flexicore was called in to provide a precast system that would help raise the platform connecting the existing upper level stadium to a new masonry elevator tower. The system consisted of beams, L spandrels, spandrels and slabs. “It was a small but complicated addition with hidden and slip connections. 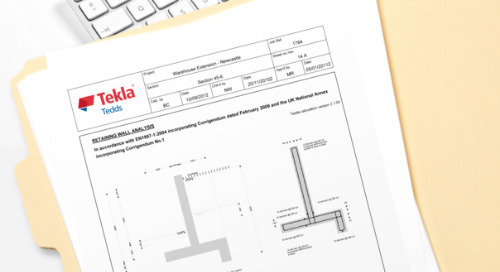 The contract drawings were difficult to understand until we built the Tekla model—then everything made sense to us and the rest of the project team,” recalls Laptas. 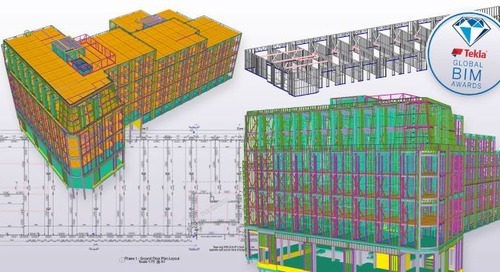 With increasing expertise, the Pittsburgh Flexicore team was ready to handle its most challenging BIM project to-date. The firm was selected to be part of the design team for a seven level, multiuse structure, which would contain over 3,000 hollow-core planks. The first three levels call for hollow-core planks set on a Versa System. The remaining level calls for hollow-core planks set on steel stud walls and concrete masonry unit walls. 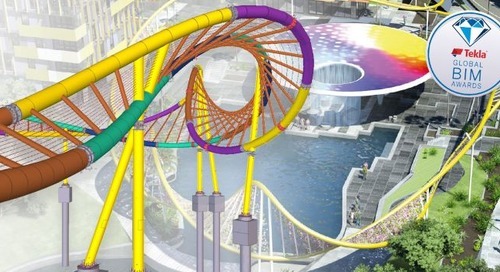 The architect and structural engineer developed drawings using AutoCAD, while Pittsburgh Flexicore created a 3D model from the preliminary drawings using Tekla Structures. Laptas says, “We overlaid our model on top of the AutoCAD model and were able to see and communicate conflicts between the architect and engineering drawings clearly. 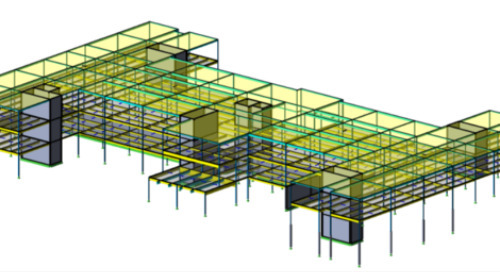 Over the course of a month, we worked closely with the rest of the project team to refine the permit drawings based on our 3D model.” To shorten the RFI cycle, Pittsburgh Flexicore used the Tekla Structures Model Reviewer, a free downloadable tool, extensively to support coordination activities. The team can use redlining tools in the Model Reviewer to identify and annotate locations of interest, while the contractor can use the model to fly directly to these locations. 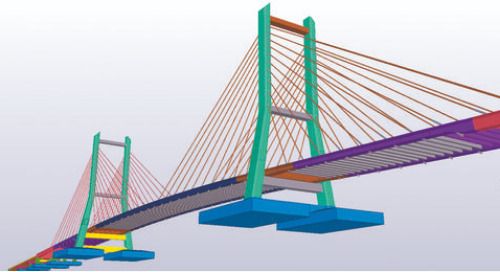 Consequently, any changes, issues or RFIs can be easily discussed using the 3D model as a visual aid. The owner received permits and financing shortly after, and construction is scheduled to begin shortly.